This beautiful ranch style home with 4 bedrooms and 2 baths features an open floor plan, with an upgraded kitchen that includes a large island with cherry wood cabinets and stone countertops. The family room boasts a floor to ceiling stone fireplace, dimmable LED canned lights, large sliding doors and windows with an abundance of natural light. The master bedroom suite includes a remodeled ensuite with a full size walk-in shower and newer vanity with marble top. The guest bedrooms feature dual pane windows, designer paint and plenty of storage. The hall bathroom has slate floor and shower over soaker tub, along with a custom vanity. The expansive backyard includes a sparking pool with salt water chlorination, smart phone sprinkler system, expansive fire pit area, pool house, covered patio, multiple storage sheds, large grass area and added patios made for entertaining. Solar panels provide electricity. Close to shopping and restaurants. Welcome home! This charming single-story home boasts an abundance of highlights starting with its show-stopping large flat lot. The three-bedroom home features updates throughout including hardwood floors, a beautiful kitchen offering granite countertops, tile backsplash, and white cabinetry. The dual pane windows throughout the home provide an abundance of natural light and the large closets allow for ample storage. The family room features a white brick fireplace and a sizable window overlooking the inviting backyard. The large dining room is ideal for entertaining with wonderful access to the kitchen as well as the outdoor patio creating an indoor outdoor entertainment feel. The spacious backyard includes a sparkling pool, large lawn area and covered patio. Additional features include: updated bathrooms, a newer HVAC system and newer pool pump. This home is conveniently located close to the Countrywood Shopping Center and is an ideal commute location with close access to the 680 and BART. Welcome to this absolutely charming single story home, situated in an ideal community with fabulous curb appeal. Elegance and comfort combine to make it the perfect setting for entertaining or relaxing. The kitchen has been updated with quartz countertops, white subway tile backsplash & stainless steel appliances. The formal dining room overlooks the beautiful backyard for effortless indoor to outdoor living. All three bedrooms feature original hardwood floors and spacious closets with built in organizers and updated lighting. The relaxing master suite features a barn door leading to the master bath which includes a rainfall shower, white herringbone subway tile shower walls, and ceramic gray and white floor tiles. Additional features include: dual pane windows throughout, an attached two car garage & RV/boat parking. This home is located just minutes from the fabulous neighborhood pool, shopping, restaurants, access to BART & the 680 freeway. Welcome home! Located in the heart of Danville, this beautiful newer construction home boasts a well-designed floor plan with an inviting formal living/dining room encompassing soaring ceilings, gas fireplace and an abundance of natural light. Open kitchen/family room combo with additional fireplace has beautiful crown molding, baseboards and recessed lighting. Kitchen features a large island, white cabinets, granite counters, gas range, stainless steel appliances, pantry and ample storage. Spacious master suite is located on the first floor with double sinks, stall shower, jetted tub and walk in closet. Upstairs includes an oversized loft area and a large guest suite with three additional bedrooms and three full bathrooms. Several custom upgrades by sellers include shutters throughout, professionally landscaped front and backyard, outdoor speakers, nest, restoration hardware fixtures, and extra garage storage. Minutes to freeway, downtown Danville, Mt Diablo, and award-winning schools. Home values are generally increasing at an annual rate of 4 to 5 percent, above the inflation rate, according to recent housing reports. That is good news for current homeowners watching their property values increase. But it means potential home buyers must come up with a larger down payment. Especially millennials who have been living with parents, have better job prospects and wages, and are thinking of moving out on their own. With mortgage rates still low and predicted to increase in 2016, this may be the year to plan on becoming homeowners before missing out. Affordability: Start considering your realistic price range. Your decision must include understanding the overall cost of the home plus the mortgage payment. Learn more at “Can I afford to buy a home? The Your Home Loan Toolkit has useful information and worksheets to use to do the math. Credit: Your credit score will also affect the type of loanfor which you qualify. Most prime lenders look for a credit score of 640 or higher to get better interest rates. Buyers with lower credit ratings should look at FHA (government insured loans), USDA Rural Development loans, and Michigan State Housing Development Authority (MSDHA) loans, which are specific programs for low-income or first time homebuyers. Down Payment Assistance: Almost all mortgage loans now require a down payment. You may qualify for help with these funds. Talk to a loan officer or check out qualifications through FHA, USDA Rural Development, MSHDA lenders listed in the Credit bullet point above. Habitat for Humanity, and Individual Development Accounts (IDAs) may be additional resources. New Disclosure Forms: Residential mortgage loan applicants will see a new look in the disclosures because of a rule issued by the Consumer Financial Protection Bureau (CFPB) in late 2015. The “Loan Estimate” explains the costs and terms of the proposed loan in one form instead of the two previously required, and a “Closing Disclosure” summarizes the key terms of the final loan contract in one document in place of two. 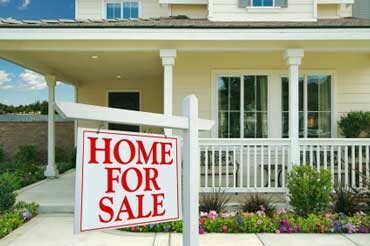 Estimate home value: Online sites offer free estimates of home values, such as Trulia and House Values. Look in the geographic areas and neighborhoods you are considering. Underserved areas: Fannie Mae and Freddie Mac have a duty to serve very low, low, and moderate income families in three specified underserved markets: manufactured homes, affordable housing preservation, and rural housing. More guidelines from the Federal Housing Financing Agency will be coming. Another good idea is completion of a certified home buyer education course before the loan closing. This education actually is required by some mortgage programs. Local housing counseling agencies who offer this education may be aware of federal and state funding opportunities as well as down payment assistance programs. The pre-purchase education courses may be free or low cost. Visit MI Money Health, the U.S. Department of Housing and Urban Development (HUD) Office of Housing Counseling to find your local housing counseling agency or look up your state online. Be prepared for the home purchase process in 2016. Making financial decisions takes time, patience, and discipline. Many resources are available to assist you.